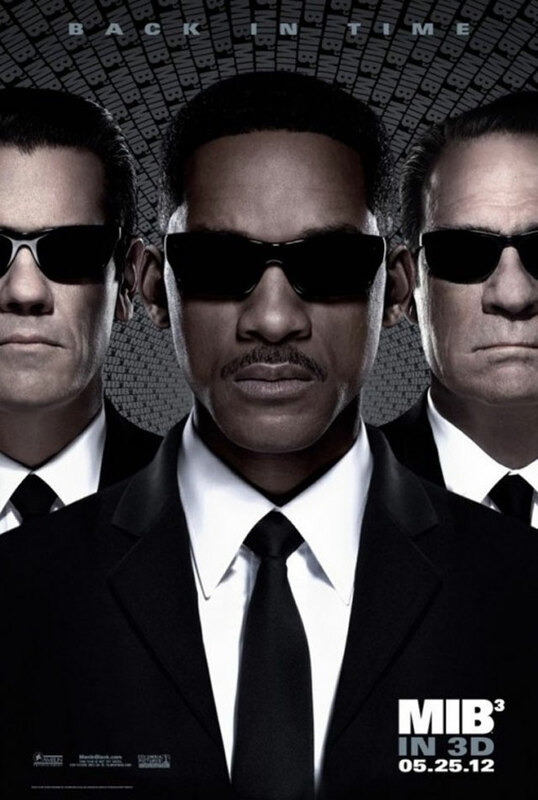 Synopsis: “In Men in Black™ 3, Agents J (Will Smith) and K (Tommy Lee Jones) are back… in time. J has seen some inexplicable things in his 15 years with the Men in Black, but nothing, not even aliens, perplexes him as much as his wry, reticent partner. But when K’s life and the fate of the planet are put at stake, Agent J will have to travel back in time to put things right. J discovers that there are secrets to the universe that K never told him — secrets that will reveal themselves as he teams up with the young Agent K (Josh Brolin) to save his partner, the agency, and the future of humankind” (Sony Pictures). Verdict: Considerably more superior than the previous instalment (2002) despite having an utterly uninspiring and flawed plot. The make up and visual effects are impressive, interesting alien designs, and the jokes are hilarious enough to make the movie sufficiently entertaining. MIB3 can be even more enjoyable if the unforgivable time paradox created in the storyline here is ignored. If you’re interested to read about the major flaws I’ve noticed, read the spoiler section below. Second opinion: “First time watching a Men in Black film and I thought it’s pretty cool” (Iris Loong). Minor flaw: There’s a scene where J (Will Smith) kills a big alien fish by pulling its organs out. It is later shown that the fish is taken away alive on the back of a truck. Major flaws: When there’s time traveling to the past involved, writers will have to be careful not to create a time paradox. But it seems that Etan Cohen, the writer, didn’t bother tallying anything at all here. According to the storyline here, K (Tommy Lee Jones) has already known J ever since he was a little kid because 40 years ago, J’s father sacrificed himself to save K. So does that mean that K recruited J on the original film because he knows him and not because he had the qualities? The bigger issue here is this – if the antagonist, Boris (Jemaine Clement), of the past is killed at the end, why do J and K still have memories of them meeting each other in the past when Boris of the present never existed to cause the problems that made J go back to the past and bump into the young K? Not to mention about how some things still happen like its supposed to in the actual past, like K shooting off Boris’ arm and J’s father dying? And it still doesn’t make sense how J remembers K after Boris changed the history at the beginning. If K was murdered in the past, who recruited J in the actual timeline? Incompetent villain: Yet again at climax fight scene, the antagonist ultimately loses because he refuses to kill the protagonist when he has the chance. Real life celebrities indicated to be aliens: Andy Warhol (played by Bill Hader from Saturday Night Live), Yao Ming, Lady Gaga, David Beckham and Yoko Ono. Apparently, Justin Bieber has an appearance too but I didn’t notice. Lady Gaga, David Beckham and Yao Ming only appear on the screens in the background at the MIB underground headquarter. hi Tony, I definitely watch this. I have a CD of MIB I and II. Came here to see your rating, skipped all the spoiler part 😛 HAHAH I remembered watching the first one only, didn't watch the second one. I watched it half way and misses the front part yesterday and the effect was quite good. I noticed the flaws too. The time lapse was weird as well. @HenryLee Yeah I kinda forgot to mention about that. I've seen it in normal screening but I think 3D is probably worth it. absolutely loved this. i returned to watch it a 2nd time despite having caught the media preview. Sharp eyes there for catching the fish's condition. I am amazed!